The Philadelphia Phillies have optioned Canadian pitcher Nick Pivetta to AAA Lehigh Valley IronPigs. The Victoria native has posted a 2-1 record with a 8.35 ERA in four starts this season for the Phillies. Pivetta is in his third season with the Phillies and has a 17-25 record with a 5.51 ERA in 63 career appearances, including 62 starts. The 26-year-old was drafted in the fourth round of the 2013 MLB Draft by the Washington Nationals. 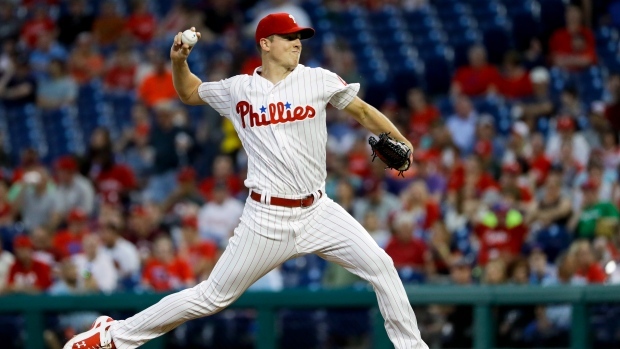 The Phillies acquired Pivetta in a 2015 trade for Jonathan Papelbon.